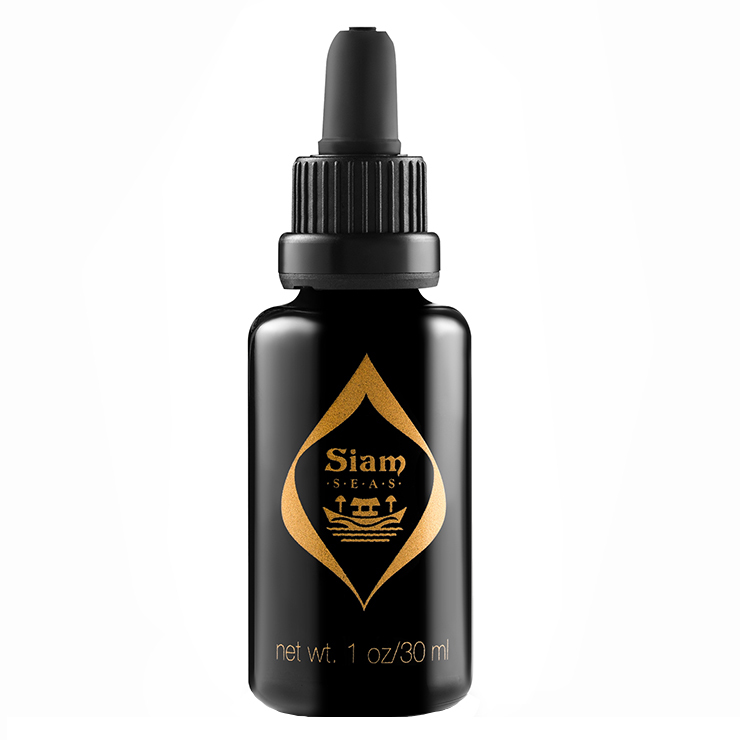 A unique blend of precious oils is used in Siam SEAS Twilight BeCalm Skin Serum, designed to offer a healing, and soothed feel to skin. 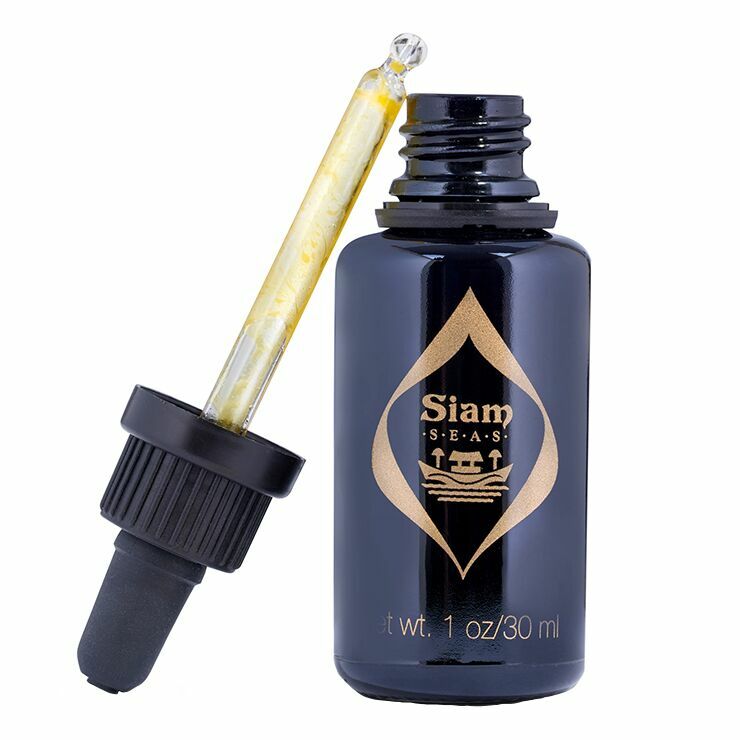 Exotic, native to Thailand, botanical extracts of clinacanthus nutans, andrographis paniculate, and curcumin aromatica are added to alleviate feelings of inflammation, while aloe vera lends a hydrated and cooling feel to skin. 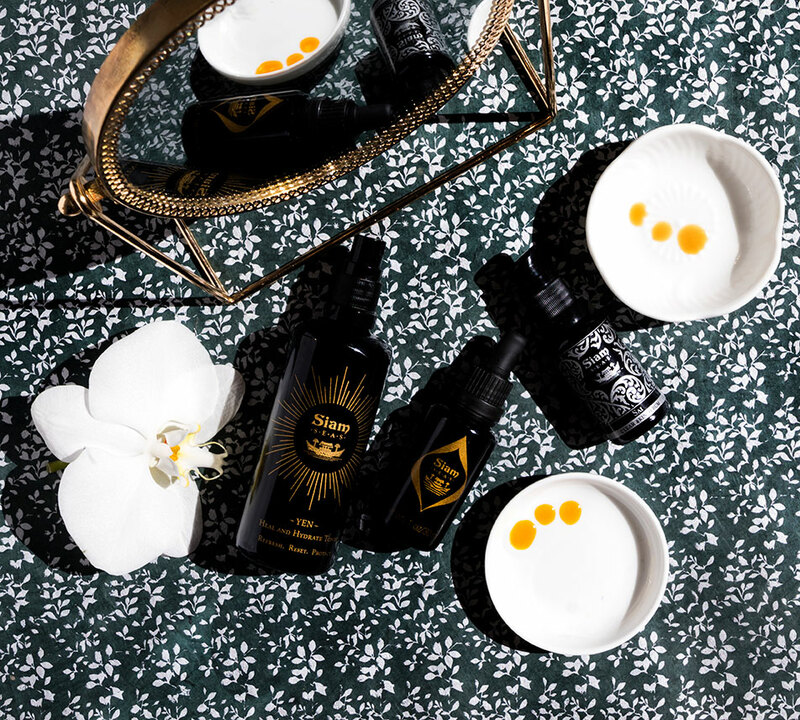 Carefully chosen essential oils make skin look brighter and more youthful. Especially beneficial to those with reactive or acne prone skin types. 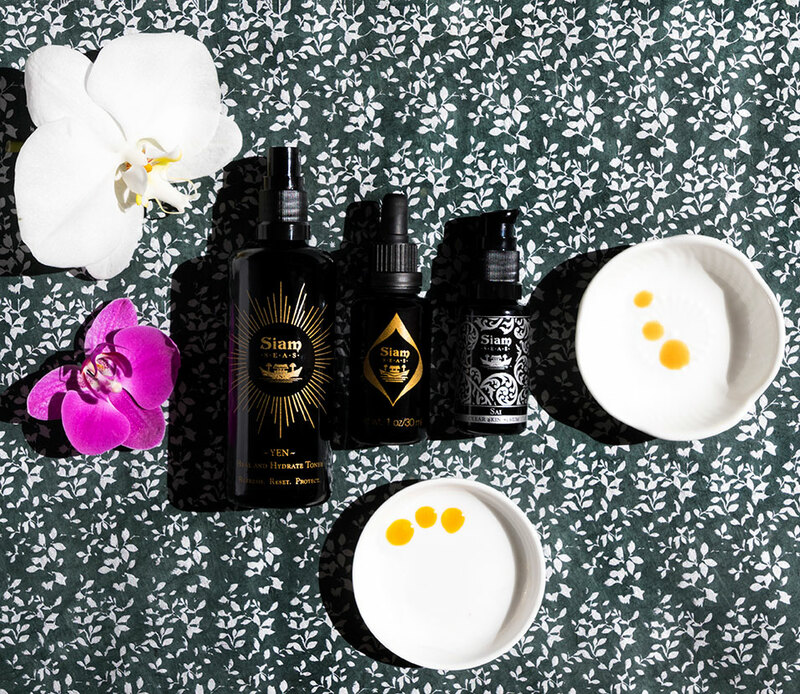 Pat serum onto clean skin as part of a regular nighttime skincare routine. Follow with nighttime moisturizer. Awaken to skin that looks healthy, calm, and glowing. I first tried this as a sample that I obtained with a few others. I am a tad sensitive to most essential oil heavy products, but this is different. Its scent is more curry than medicinal. Its not greasy or dry...rather hydrating with the aloe and moisturizing with the oils while also being some how simultaneously stimulating and soothing. When my sample ran out, I missed it too much to be without it. I know that this formulation is intended for those with reactive or acneic skin (neither of which I would describe my skin), but my formally dry and dehydrated skin craves it. Would love a daytime oil/moisturizer with similar properties.